Did Joaquin Phoenix’s Bizarro Publicity Stunt Actually Pay Off at the Box Office? 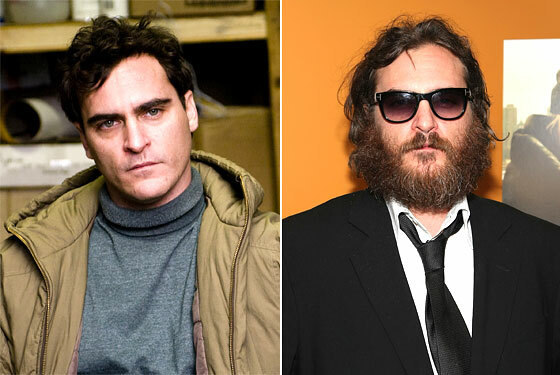 When Joaquin Phoenix showed up in a possibly altered state on David Letterman’s show last Wednesday night, most of the early reaction was that his weirdo performance-art schtick was either “disastrous” or “career-ending.” Vulture’s assessment didn’t go down that track; we were actually more pissed that he didn’t do a better job of promoting his latest film. However, in a funny twist, it just might turn out that all of us were wrong. What would you say if we told you that Two Lovers was Joaquin’s most successful opening weekend since he starred alongside Mel Gibson in Signs? While this gambit appears like it may end up paying some dividends for Phoenix’s acting career, we would like to strongly discourage other actors from misguidedly pursuing careers in the music industry. After all, the last thing anyone needs to see when Tyler Perry hits the talk-show circuit this week to push Madea Goes to Jail is him threatening to go on tour with Animal Collective.